Everything is bigger on the silver screen: hopes and dreams, heroes and villains, successes and failures. Simple human drama can become mythical when projected onto a giant movie screen. We go to the movies to laugh, cry, and gasp along with our fellow moviegoers, all of us sitting in the dark together sharing the experience. It’s a powerful example of how great content can create an experience that not only informs, but makes you feel. Creating those experiences is a whole crew of specialists, actors, director and producers, each playing their part. 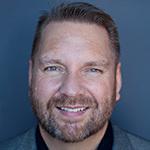 Similarly, every successful content marketing program has a team of people working behind the scenes to create quality content that connects with customers. 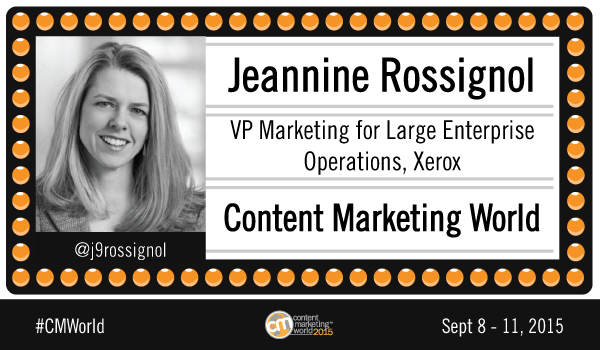 One trailblazing example of a marketing leader creating great content experiences is Jeannine Rossignol, VP of Marketing for Large Enterprise Organizations at Xerox. 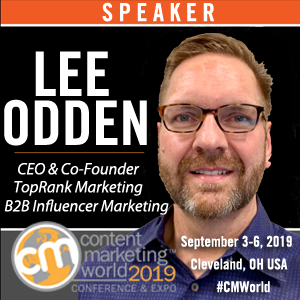 Jeannine will be making her first appearance at Content Marketing World this year, discussing how senior marketers and CMOs can structure marketing around content. 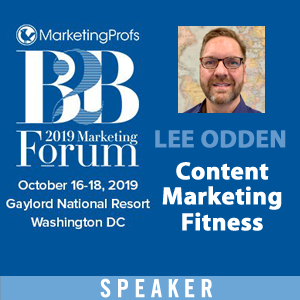 I connected with Jeannine to talk about content marketing strategy, top challenges facing content marketers, and content marketing lessons to be learned from Charlotte’s Web. I work with amazingly talented people to tell stories that start conversations with the right people. Can you share a little more about your role at Xerox and what you enjoy most about it? At Xerox I lead demand gen, content marketing, digital, social and sales enablement globally for our Large Enterprise Operations division. I work with amazingly talented people to tell stories that start conversations with the right people. I get a rush when I think about all the changes that have happened to the practice over the past few years and can’t wait to see what the future holds… and maybe even help shape it a bit. The key is that content provides insight, and valuable information they need. Content marketing provides our clients and prospects with the insight they need to make a decision. It doesn’t have to be the decision to buy. The key is that the content – whatever form it takes – provides insight, and valuable information they need. Otherwise, we’d simply keep calling it marketing brochures (collateral). When you’re elbowing for position in the early stages of the consideration, good content marketing works hard. It creates brand awareness, differentiation and credibility. When it comes to approach, never forget the customer is in charge. 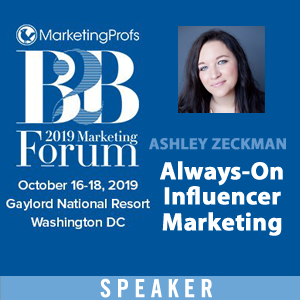 It seems many brands’ approach to content marketing has focused mostly on creating more content with a recent emphasis on better quality content. What do you think are the major drivers for content marketing strategy and approach to content? I have a hunch that the brands producing the most content are often the ones that lack a clear content marketing strategy. A clear strategy should include who you target, what their buyer’s journey looks like, and most importantly, what are the questions they need to answer to move from one stage in the journey to the next. Every piece of content should go back to that strategy. When it comes to approach, never forget the customer is in charge. Be engaging. Add humanity. Content is an integral component of every aspect of marketing. How does content marketing relate to the overall marketing pie? Content is the golden thread that brings marketing together, not just marketing but marketing and sales. It isn’t a separate program, but rather an integral component of every aspect of marketing. Content marketing is growing for two reasons. 1) Many disparate marketing components are now taking roles within a larger content marketing strategy. With some adjustments and refocus on customer interest, they have become content marketing tools. 2) Content marketing is also taking on a bigger role because so much of it can be tied to measurable results. We have to recognize that not everyone wants to consume information the same way. How important are non-text content marketing assets to your marketing? For example: audio, video, and interactive. Critical. We have to recognize that not everyone wants to consume information the same way. Just as important as understanding the type of content your audience wants, you also have to know what format they prefer it in. Added to that, we are a visual society. Memes. Instagram. Buzzfeed. Pinterest. Emoticons. They help us connect in ways that can often feel more real than words. Which is great news for international marketers, by the way. What are some of your own content marketing examples that you’re proudest of? In B2B marketing, especially for services, we talk to our clients about their challenges. We took a different angle with Optimism. One that is focused on the opportunities for that business … looking past the challenges and focusing on opportunities … We were excited about it, our management and sales organizations were excited, and the feedback we’ve received from customers demonstrates they like it as well. We brought the idea of Optimism to life with a publication called Chief Optimist. We needed to get in front of decisions makers with our content. The idea of the publication seemed like a great way to get past the gatekeeper and end up in the “to-read” pile. We partnered with Forbes to publish the magazine. We knew their name would add credibility to the magazine, and most of all it would help us supplement our original content with theirs. As it turns out by partnering we are more credible than trying to do it on our own. Do you have any advice for marketers who feel overwhelmed by the challenge of consistently producing a variety of engaging content? Don’t do it alone! Partner – internal SMEs, 3rd party experts, your agencies, trusted business resources, analysts, etc. Remember at the end of the day it is a person reading your content. Make sure it is interesting and has a point. Never be afraid to fail. In today’s digital world it is easy to make course corrections, but you can’t correct (or learn from) what was never done. Great technology can’t fix bad content, nor can great content deliver results without technology. What are some of the biggest content marketing challenges facing large companies today? Or the biggest misconceptions. What should they do about it? Content marketing can expose your “ugly baby.” If you have a product or service that doesn’t have a unique value prop or truly meet the needs of the marketplace, coming up with insightful content will be near impossible. Data hygiene is critically important. The best content is highly targeted and relevant. But if you can’t trust your data, you can make some silly mistakes on a massive scale. Forgetting the first rule of content marketing: take your brand out and put the customer in. Companies seem to be most challenged by measuring content marketing performance and ROI. What advice can you share? Marketing went from not being able to measure anything, to being able to measure everything. It is overwhelming, but pick a place to start… pick one question you want to answer and go from there. Get it roughly right, and keep refining. 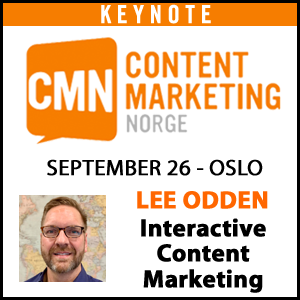 What are you presenting on at Content Marketing World? What do you like best about the conference? I’m on the panel discussing “How Senior Marketers and CMOs Are Structuring Around Content Marketing. This will be my first CMWorld. I’m beyond excited; it has been on my list to attend for years. I would love to hear from veteran attends, tweet to me what you like best about the conference. In the spirit of the CMWorld conference theme of vintage Hollywood “Big Lights, Big Content”, what is your favorite movie? There are so many to choose from… I’m the mother of 4 small children so bear with me; the only movies I see these days are children’s movies! Let me give you a favorite that is not only a great movie/story, but also a great example of content marketing in action: Charlotte’s Web. Charlotte’s content, the words she spun in her web were creative, powerful and beautifully targeted to save the life of Wilbur the pig. It perfectly showcases that content can deliver powerful results, or in this case, save lives! Ready to Become the Star of Your Brand’s Content Marketing Movie? Reserve your space at Content Marketing World 2015 to learn strategies from over 200 top experts in the industry. For a preview of coming attractions before the conference, dim the lights, silence your electronic devices, and read our new eBook, Measuring Your Content Marketing Box Office Success. Binge Read the Entire Content Marketing World Triple Feature! Sometimes when you get really into a series, there is nothing more tortuous than waiting for the next release. By clicking any of the links below, you’ll get immediate, on-demand access to each of the eBooks in our series.